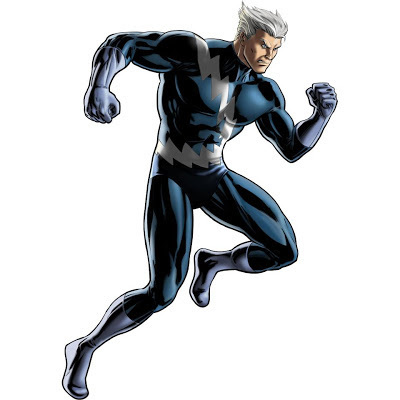 There's a new suit out for Quicksilver in Marvel Avengers Alliance. Interestingly enough, the alternate class version (Generalist) is cheaper than the Scrapper version. The new suit basically has a chance to grant him an extra turn (it seems like it's more like a chance to randomly hit an opponent) on the opponent's turns. Occasionally jumps into the future, randomly gaining a free attack during an enemy’s future turn.